New Spider-Man Series “Spidey” Releasing in 2015! 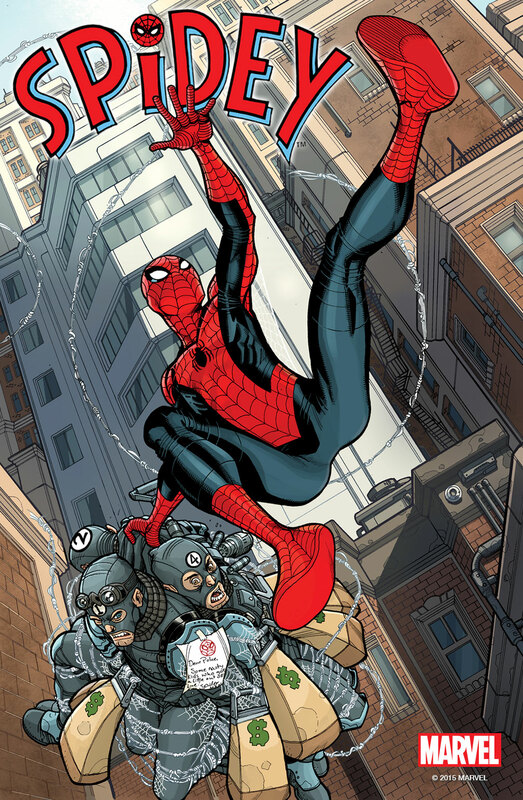 Leave a Comment on New Spider-Man Series “Spidey” Releasing in 2015! Today, he’s the world’s greatest super hero. But long before he swung from rooftops as the Amazing Spider-Man, he was just a spider-powered teenager who knew that “with great power must also come great responsibility.” Today, Marvel is pleased to announce SPIDEY #1 – a brand-new ongoing series launching as part of All-New, All-Different Marvel! Follow the adventures of teenaged Peter Parker in a new series set within continuity from rising star writer Robbie Thompson (TV’s Supernatural, Silk) and blockbuster Marvel Young Gun artist Nick Bradshaw (Wolverine and the X-Men, Guardians of the Galaxy)! Previous Entry “Would You Kindly” Take A Look At These New Bioshock POP! Figures? Next Entry Monty Python and the Holy Grail Funko POP! Set Coming This November!